But not split testing literally means you are throwing money away and running a split test is a lot easier than you probably think. Trust me, split testing is a vital part of marketing your products and services. You might do OK without it, but you could have even more success if you do put it to work for you. So what is split testing, anyway? Split testing is the process of testing multiple versions of a particular piece of copy in order to find out which one converts best. For example, you could test multiple versions of a headline, or multiple colour variations of a sales page. Even things like the colour of your call to action button can make a massive difference in conversions. You can do this manually by simply running one version for a while and tracking results, then making a change and allowing it to run for a while and comparing results, or by using a special piece of software that shows the different versions to visitors on a rotating basis. The biggest reason people give for not split testing is that they just don’t think it’s necessary. Why bother with something that might only increase your conversion rate by a percent or two? And when you first start, it might not seem like that big of a deal. If you’re only making $100 per month, it might not seem like such a huge thing to your bottom line. First, it could actually double your income with very little effort. I said it could double your income! The reason I said it might not seem like “that big of a deal” is because doubling your income from $100 to $200 might not seem that big, but when you consider you doubled your income practically overnight, it’s bigger than it seems. 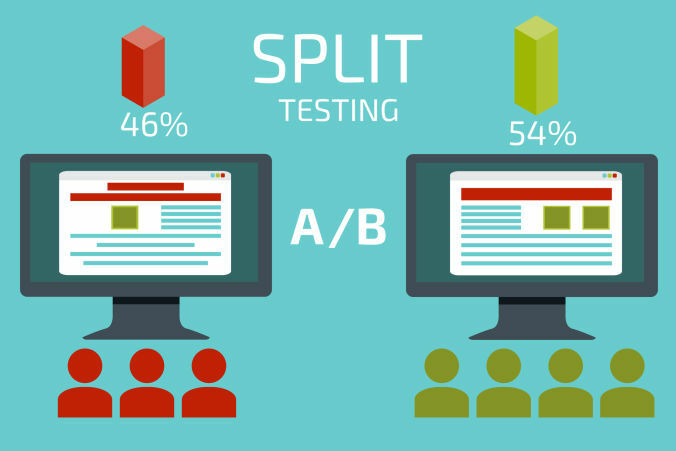 Another important reason you might want to use split testing right from the start is to make sure your products convert as well as they can in order to attract affiliates. 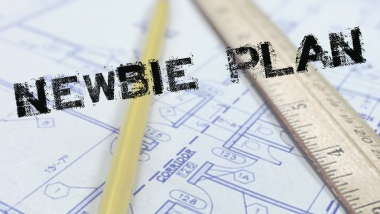 If you create your own products, chances are, you’re going to want affiliates to promote those products for you. After all, it’s pretty much “free money”. Affiliates do the work, and you get paid. But affiliates aren’t going to want to promote a product that doesn’t convert well. And if they try a product you create and it doesn’t convert, they will probably never promote another one of your products. Are you starting to see why it actually IS a big deal, even in the beginning? Even if you’re not too worried about conversion rates for your own income, you have to worry about making sure your products convert for the sake of your affiliates. As you can see, split testing isn’t something you should continue to ignore. No matter what type of business you’re running, split testing could help you increase your profits considerably! It should be fairly instinctual to figure out which elements are most important for you to test on your page. 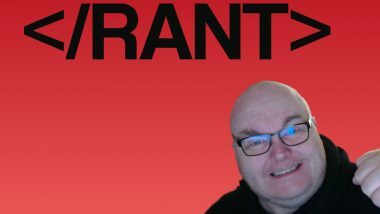 Whatever you’ve agonised over the most, such as price, headline, or design, is probably the first thing you should test. Split testing can be a little technical, but as long as you follow the standard set of best practices, you should have little trouble. 1. One Test at a Time – If you’re split testing manually, the most important thing to keep in mind is that you should only perform one test at a time, because you want to be certain which element it was that caused the increase or decrease in conversions. You can perform concurrent tests if you’re using automated software, because the program will detect which element was served and keep the results separate, but on your own, it’s not possible to run multiple tests simultaneously while getting accurate results. 2. One Variable at a Time – Unless you’re using automated software that lets you test multiple variables in a very controlled way, you should only test a single variable at a time. For example, test two different headlines in a single test, but wait until that test is finished to test two different calls-to-action. Again, automated software will let you test multiple variables at a time, but keep in mind that the more variables you test concurrently, the longer it will take to get statistically accurate results. 3. Test Small Stuff – A lot of people think only things like the headline and call-to-action are important to test, but even the smallest things can lead to better conversions. 4. Test The Whole Thing – While sometimes a single element on a page can make a big difference in conversions, making an entirely different version of a page can also make a huge difference. For example, once you’ve tested a couple of headlines and found one that converts, you can then test that headline in a completely different version of your page’s design. 5. Test Your Whole Funnel – A lot of people stop at testing the lead capture page or the sales page, but did you know that one lead page version might convert better, but result in fewer sales? It’s a good idea not only to test to see which version gets you the most opt-ins, but also which one results in the most sales later. 6. Send Quality Traffic – A lot of people think it’s okay to just send thousands of untargeted visitors to a page for split testing purposes, but this isn’t going to work. You need to drive truly targeted traffic to your pages when split testing, because any sales from untargeted, low-quality traffic could be completely random and have nothing to do with the elements you’re testing. There are many tools on the market that will make split testing easier for you. Many page builders and funnel systems have one built in, but if you want an easy system then check out Link Supervisor which not only does split testing but also can password protect links, set re-targeting pixels and even send users to different pages depending on their location.